This was the second in a series of workshops made available by National Friends as part of their Volunteer Management Academy. 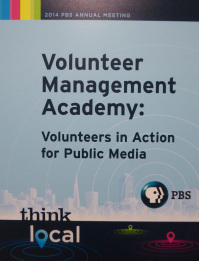 The initiative focused on training volunteers and those who work with volunteers in Public Media. The first Volunteer Academy workshop was completed in Orlando, titled: Volunteer Management Academy: Volunteer Management Boot Camp. The workshop was facilitated by Sandy Stuckmann, Vice Chair and National Friends of Public Broadcasting Conference chair. Professionals from National Friends, PBS and APTS presented on topics ranging from Staff and Volunteer Expectations to Collective Impact. 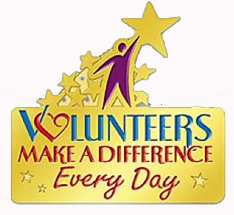 Also included were presentations from Volunteers in Action: Events, Advocacy and Outreach to Volunteers in Action: Fundraising. Addressing the group on Social Media from PBS were Lisa Richards, Senior Production Manager, Content Management and Strategy and Phil Piga, Director of Event Strategy and Production. Speaking about the impact of volunteers being involved in events, advocacy and outreach was speaker, Kimberly Mullaney, Director, State and Local Education Services at WNET. Highlighting the meeting was an inspirational and informative presentation from Patrick Butler, President and CEO of the Association of Public Television Stations (APTS) announcing the partnership between National Friends of Public Broadcasting and APTS on the Protect My Public Media campaign. This grassroots campaign is focused on building a network of advocates to protect federal funding for public media. Attendees gave high marks to the workshop expressing the content and presenters as "excellent," "relevant" and "welcoming and open."